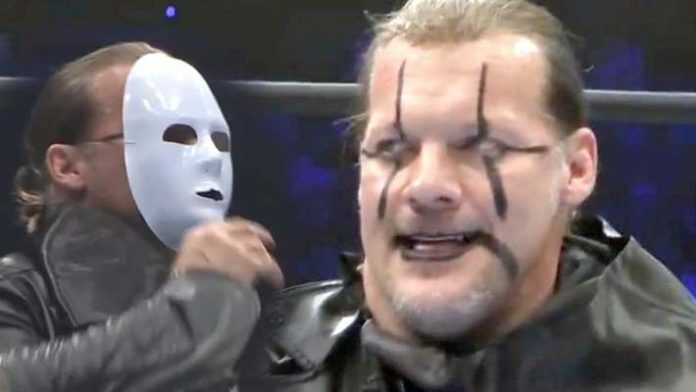 After brutally assaulting EVIL in a surprise attack during The King of Darkness’ entrance yesterday, Chris Jericho officially laid out a challenge backstage of Ryogoku Sumo Hall. Jericho’s ambush led to the scheduled match between EVIL and Zack Sabre Jr. to be declared a no contest, with EVIL unable to compete due to the severity of the beating at Jericho’s hands. When the camera’s cut to EVIL, the King Of Darkness was unable to comment as he struggled to make his way down the hall before entering a room to get away from the press. King Of Pro Wrestling saw those prophetic words come true, and we’re now set for an IWGP Intercontinental title defence next month at Power Struggle.